< 5 min.< 10 min.< 15 min.< 20 min.< 25 min.< 30 min.< 35 min.< 40 min.< 45 min. Looking for lots of space, you've found it! Rare 1/4+ acre lot AND kid friendly cul-de-sac location in great Denver neighborhood. Kitchen features eat-in area, hardwood floors, more than enough counter space, lots of cabinets - many with pull out drawers - and a large pantry. There's a big master bedroom with ensuite 3/4 bath.Two more bedrooms, and full bathroom with jetted tub on the upper level. South facing back yard is completely fenced with plenty of room to play and entertain. Professional landscaping includes beautiful, mature trees plus 4 planted in the last few years. Energy efficient features: leased PV solar panels and top of the line Anderson windows. Located close to popular Bible Park, bike paths, bus line and Yale Light Rail station (1.5 miles). Quick access to downtown, DTC, I25 and 225. The neighbors are friendly and we all agree it's the best block in Hutchinson Hills. The content relating to real estate for sale in this website comes in part from the Internet Data eXchange ("IDX") program of METROLIST, INC., DBA RECOLORADO®.  Real estate listings held by brokers other than Keller Williams Realty Downtown are marked with the IDX Logo. This information is being provided for the consumers' personal, non-commercial use and may not be used for any other purpose. All information subject to change and should be independently verified. The information contained in this publication is subject to change without notice. METROLIST, INC., DBA REcolorado, MAKES NO WARRANTY OF ANY KIND WITH REGARD TO THIS MATERIAL, INCLUDING, BUT NOT LIMITED TO, THE IMPLIED WARRANTIES OF MERCHANTABILITY AND FITNESS FOR A PARTICULAR PURPOSE. METROLIST, INC., DBA RECOLORADO, SHALL NOT BE LIABLE FOR ERRORS CONTAINED HEREIN OR FOR ANY DAMAGES IN CONNECTION WITH THE FURNISHING, PERFORMANCE, OR USE OF THIS MATERIAL. METROLIST, INC., DBA RECOLORADO, will not knowingly accept any advertising for real estate that is in violation of the law. All persons are hereby informed that all dwellings advertised are available on an equal opportunity basis. Lifestyle, neighborhood, and school data ("Supplemental Data") is provided by the operator of this website as a convenience to users. This Supplemental Data is not provided or reviewed by REcolorado. The operator of this website updates the Supplemental Data from time to time, but it does not represent, warrant or otherwise promise that the Supplemental Data is current, free from defects, or error-free. All Supplemental Data is provided AS IS with all faults. Users are encouraged to consult their own data sources to confirm the accuracy of all Supplemental Data before using the Supplemental Data as a basis for any decision. Complete list of data sources. Copyright © 2000-2018 Keller Williams® Realty. All information provided is deemed reliable but is not guaranteed and should be independently verified. Properties subject to prior sale or rental.